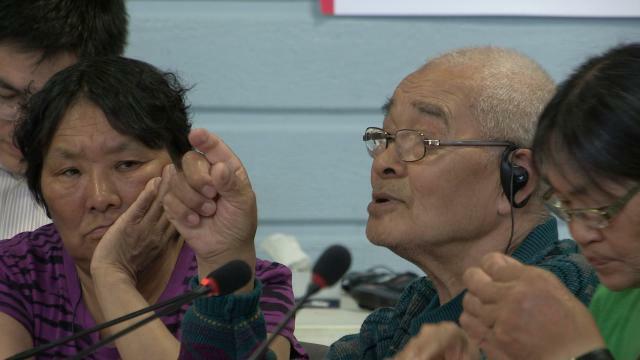 ᓂᐲᑦ ᐃᓄᒃᑎᑐᑦ Mary Ammaq, Part 4 of 4, 5:41, see: Part 1, Part 2, Part 3, Inuktitut-English, May 11, 2012. By Zacharias Kunuk and Lloyd Lipsett. 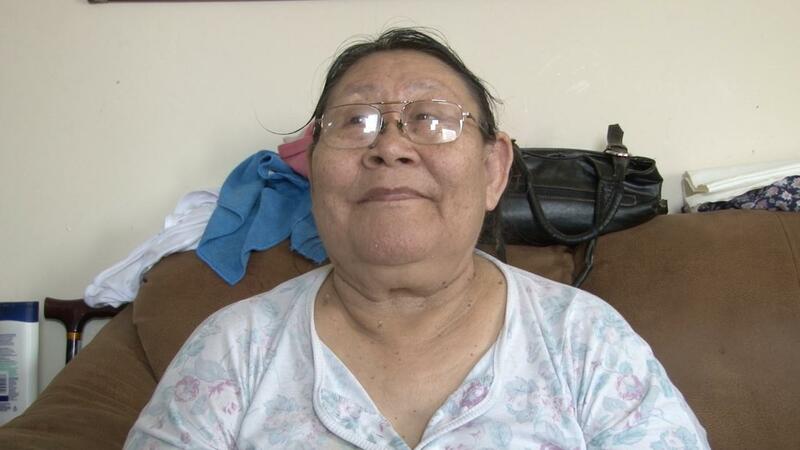 Mary is one of the elders in Igloolik, Nunavut. 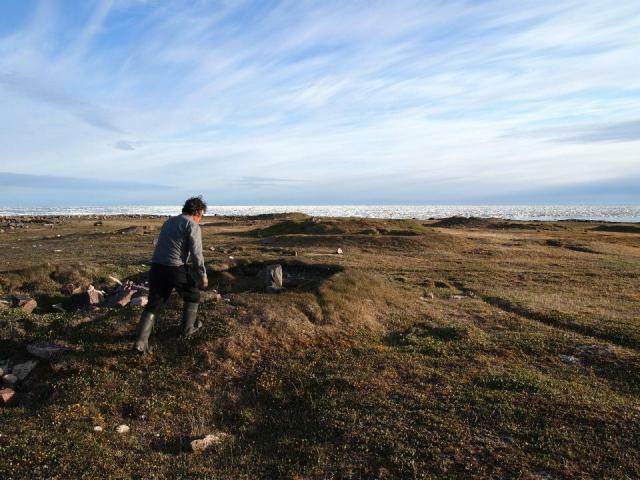 This interview talks about mining around Baffin Island and what impact it will have to the Inuit and the wildlife. 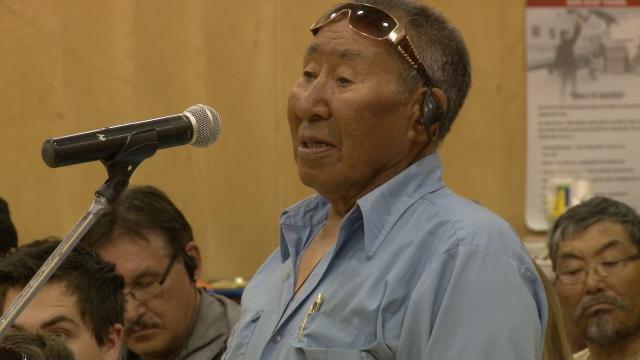 Zacharias Kunuk with Lloyd Lipsett, Formal Intervention, NIRB Technical Hearing, July 23, 2012, Igloolik, Part 2/2 1:18 English Version. Zacharias Kunuk concludes his and Lloyd Lipsett's presentation calling for up to date media technology and an Interactive Multimedia Human Rights Impact Assessment. 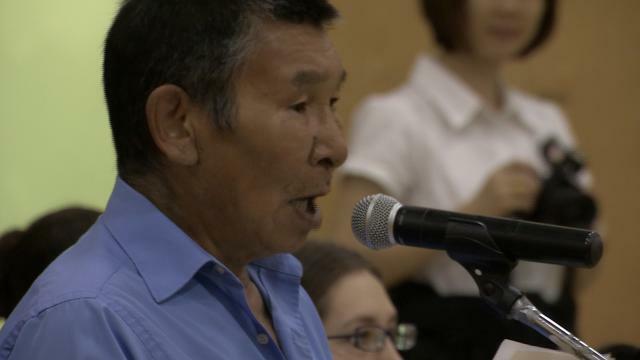 George Qulaut, NIRB Community Roundtable, July 23, 2012 Igloolik, 8:58 English version, concerned that governments and Inuit organizations are not asking enough questions about the project, for example, will there be a Canada Customs checkpoint established at the Steensby Inlet port site for incoming supertankers? 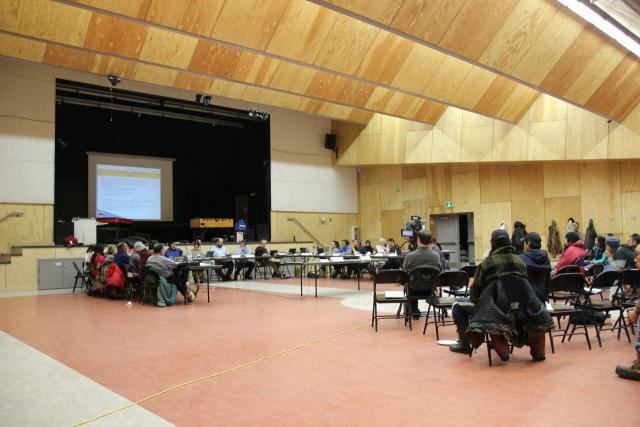 ᓂᐲᑦ ᐃᓄᒃᑎᑐᑦ Igloolik Mayor Nicholas Arnatsiaq, NIRB Final Public Hearings, July 23, 2012, Igloolik, 3:36 Inuktitut, official welcome opens the Hearings in Igloolik. Igloolik Mayor Nicholas Arnatsiaq, NIRB Final Public Hearings, July 23, 2012, Igloolik, 3:36 Inuktitut, official welcome opens the Hearings in Igloolik. 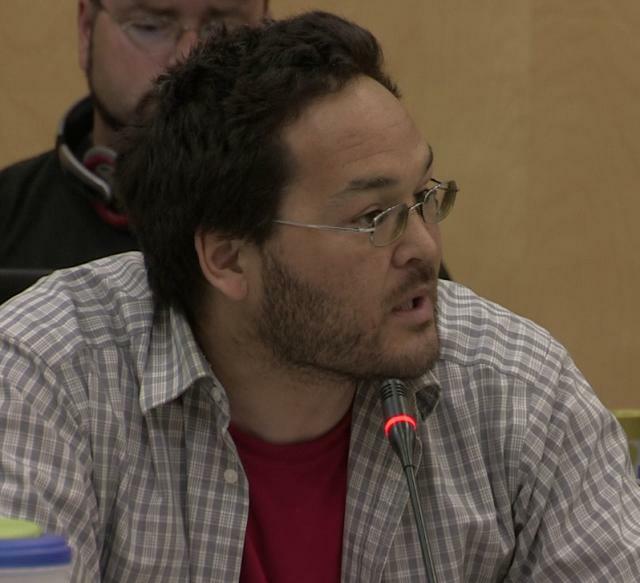 ᓂᐲᑦ ᐃᓄᒃᑎᑐᑦ Gamaillie Qiluqisaq, NIRB Community Roundtable, July 20 2012, Iqaluit, 3:51 Inuktitut, asks why mining royalties only flow to NTI and Inuit organizations or governments but not directly to the impacted communities like Pond Inlet. 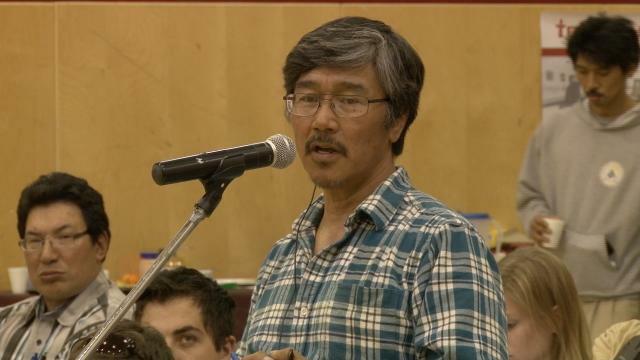 Gamaillie Qiluqisaq, NIRB Community Roundtable, July 20, 2012, Iqaluit, 3:51 English version, asks why mining royalties only flow to NTI and Inuit organizations or governments but not directly to the impacted communities like Pond Inlet. 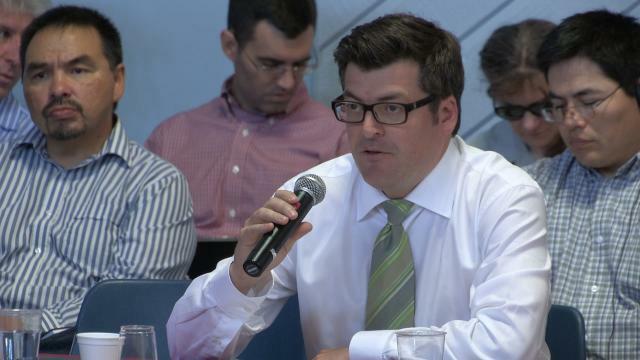 NOTE Audio Mute first 54 seconds, advance to 54:00 to hear English translation. 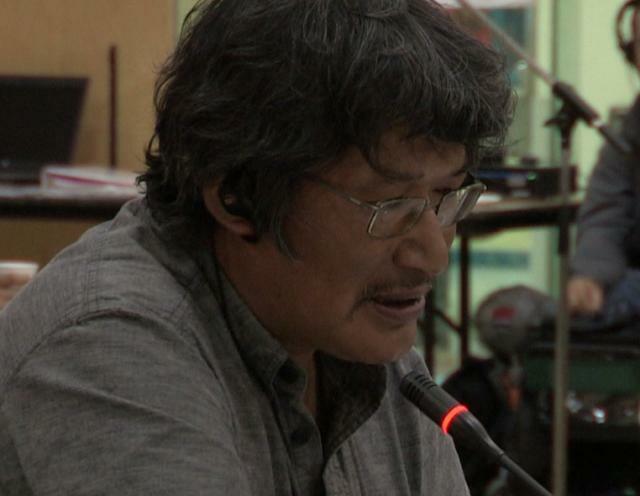 ᓂᐲᑦ ᐃᓄᒃᑎᑐᑦ James Etuluk, NIRB Community Roundtable, July 20, 2012, Iqaluit, 4:14 Inuktitut, response by NTI Vice-President to Gamaillie Qiluqisaq's comment about royalties to Inuit organizations but not to communities. 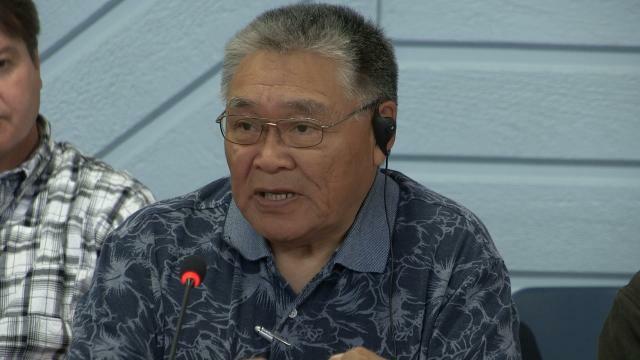 James Etuluk, NIRB Community Roundtable, July 20, 2012, Iqaluit, 4:14 English version, response by NTI Vice-President to Gamaillie Qiluqisaq's comment about royalties to Inuit organizations but not to communities.